Reiki comes from two Japanese words which translate to universal life force. This universal life force is an energy found within people, animals, plants, rocks, trees, even the earth itself. 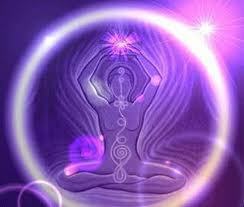 One trained in the use of Reiki channels that life force, allowing the recipient to receive the healing energy. This healing modality came from Japan, but Western medicine is now recognizing its benefits. Major medical centres are now discovering the value of integrative healing; i.e., traditional Eastern healing methods used to complement modern medicine. Part of Reiki treatment includes the use of sacred symbols. In some traditions, these are kept secret from anyone who is not initiated into the system. In other paths, some symbols have been made public.. In addition to the symbols, a Reiki practitioner may call upon spirit guides, ascended masters, or angels, depending on their spiritual path. Reiki is not a religion, and people from various faiths practice it. In Reiki, healing takes place on an emotional, spiritual, and physical level. The practitioner focuses on the recipient’s chakra systems. Sometimes these imbalances are due to physical ailments like a headache or stomach virus. Other times, it may be related to some emotional or spiritual issue that the person has not yet resolved; i.e., relationship issues, problems at work, anger at a parent or spouse. By transferring Reiki energy into the recipient, the practitioner helps the individual heal through whichever issues are at hand. A substitute for medical care from a physician. A Reiki practitioner helps with pain management and emotional healing.